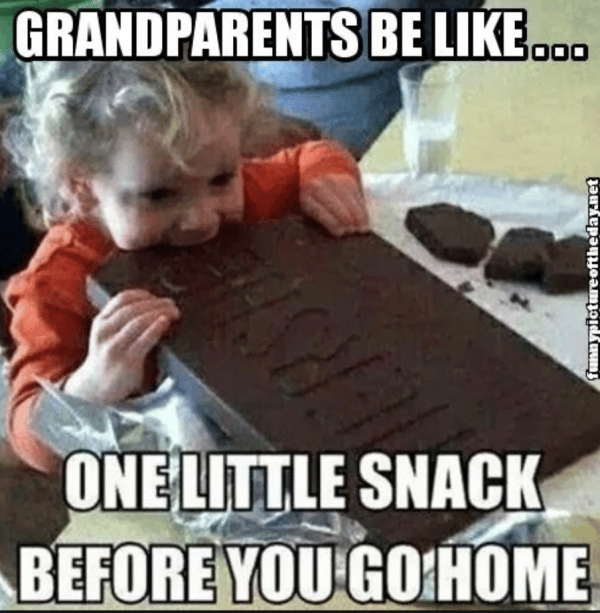 Yes, 'grandparenting like a boss' is a thing and here is our proof. There are so many things I loved when I saw a preview of the movie Instant Family. 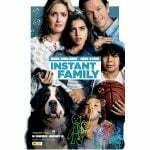 I felt the love between the main characters Pete and Ellie Wagner (Mark Wahlberg and Rose Byrne), and the bond they worked hard to create with their three foster kids who form their “instant family”. But one of the best – and funniest – aspects of the movie is the crucial role played by Pete’s and Ellie’s mums – their kids’ foster-grandparents. As the Wagners’ go from Double-Income-No-Kidders to parents of three, Pete’s mother Sandy (Margo Martindale), and Ellie’s mother Jan (Julie Hagerty), embrace their roles as ‘instant grandmas’. But, much to Pete and Ellie’s surprise, Sandy and Jan don’t grandparent in the way they did when they were parents. No, in typical grandma-style, the Parenting Rules are out – and Grandma Rules are in. 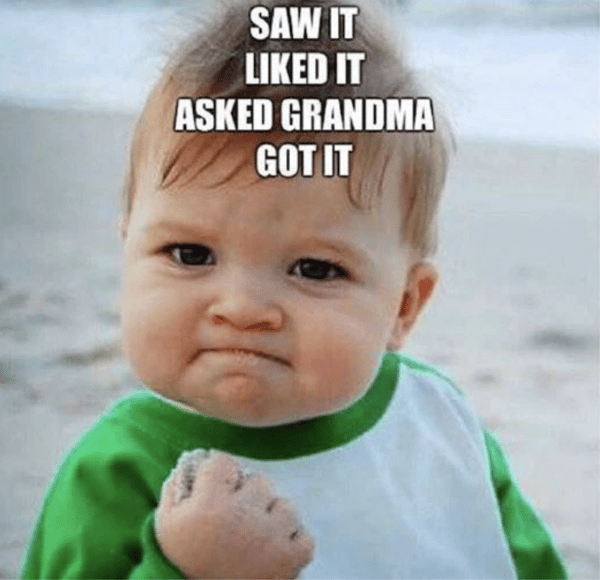 You might even call it ‘Grandparening like a Boss’, and it’s brilliant. My favourite example is the scene when Pete and Ellie return home to find Jan having a ‘make over’ by the youngest kids, using what seems like markers…but in a serious plot twist, they turn out to be permanent markers. Ellie’s aghast, but Jan is surprisingly…chill. But that&apos;s how boss grandies roll - that&apos;s how they show their love for their grandkids. Parent Rules out, Grandy Rules in! My mum, the chocolate rule-breaker. My mum and my crazy kid. Image: supplied. The above photo of my mum with my 11-year-old is pictorial evidence of how far my mum has come from my childhood. If I&apos;d pulled a silly face and &apos;ruined&apos; a photo three decades ago - man, there would have been trouble. But with my kid? There is literally an amused side-eye - that is all. Oh wait - that&apos;s not entirely true. He got chocolate afterwards, as a reward for simply existing. Yee&apos;s parents, the insatiable shoppers. 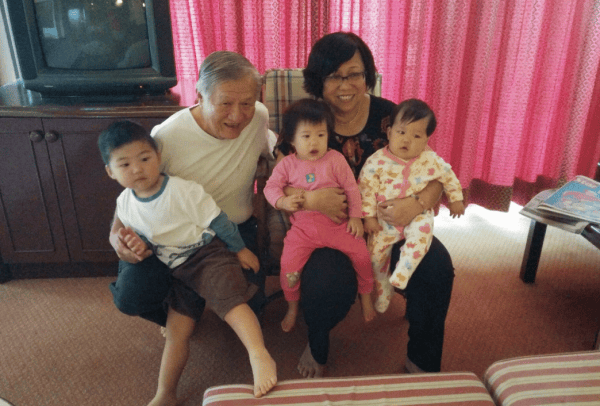 Yee&apos;s amazing parents and their grandkids. Image: supplied. "My parents were very hard-working and careful with their budget, because they had to be," Yee told me. "They made a lot of sacrifices to support us - so toys were not a priority. It was so hard to get my parents to get us toys!" Yeah, me too, Yee, me too. "But now, so many years later, whatever my kids point at in the toy store - they get to carry them home! My parents pay, without question, and there never seems to be a limit! "I tell my folks it&apos;s a double-standard but they just shrug. I feel so loved - not!" Rikki&apos;s mum, aka Year-round Santa. Rikki&apos;s wonderful mum and daughter. Image: supplied. My mate Rikki had a similar story to tell. "I have a very specific example of how my mum differs from the parent she was, to the boss grandma she now is," she said. "When I was a kid, all I wanted for Christmas for years was a plastic Barbie Camper Van - I was utterly obsessed. But somehow, despite the letters to Santa and the pleas to my mum, I never got one." The story is vastly different for Rikki&apos;s seven-year-old daughter, Summer. "Thanks to Nanny and Pa, she now has not just a Camper Van, but also a Barbie House, horses and swimming pools!" 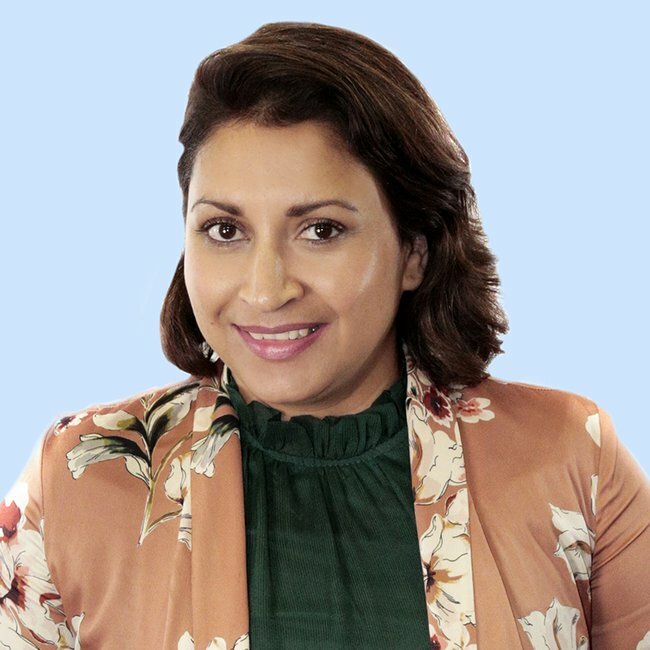 Laura&apos;s mum, the family CEO. Laura calls her mum a boss grandma who has her cr*p together enough for all of them. 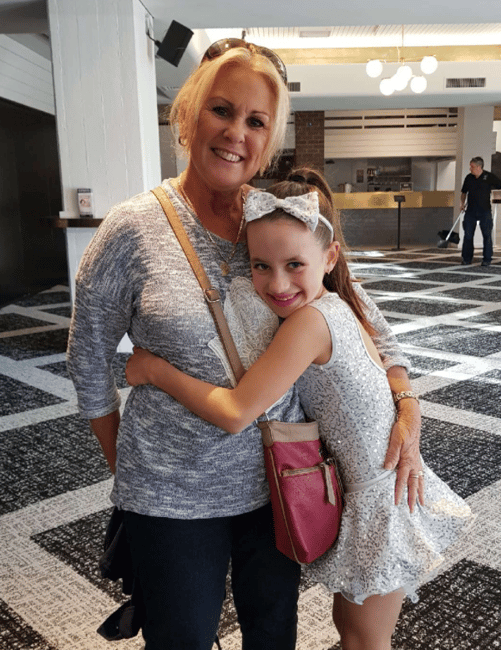 "My amazing mum, a super grandma to my kids, is the oil in the machinery of our lives. 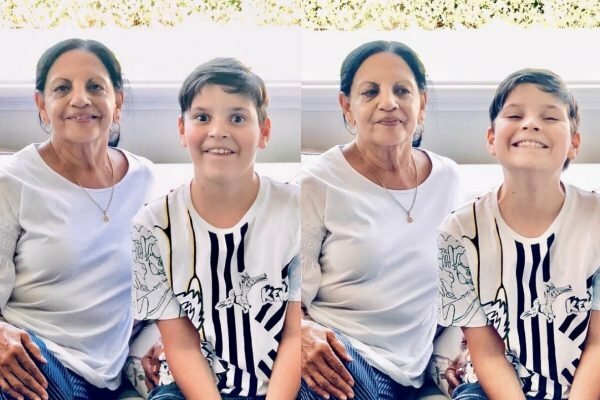 She&apos;s the get-stuff-done grandma who I can call when there are school enrolment forms to fill out, haircuts to be had, birthday cakes to be baked and any other jobs that slip through my mitt but have to be done." But not only does Laura&apos;s mum nail the practical stuff, she&apos;s super-fun, too. 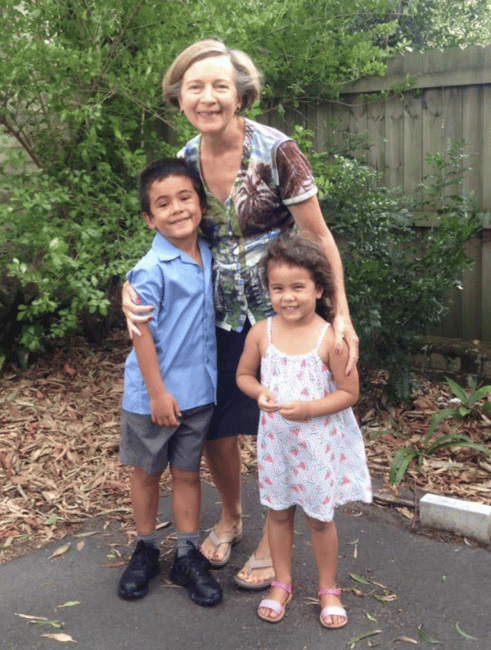 "She&apos;s the grandma who takes them away for a week in the school holidays for the best beach adventures, she&apos;s the grandma who is patiently helping them with their reading or their artwork, and she&apos;s the grandma who always thinks of the perfect gift. The kids adore her, because a lot of the time, she&apos;s even more fun than I am!" So, she&apos;s the Mary Poppins of Grandmas? Impressive. Instant Family is the heartwarming new comedy starring Mark Wahlberg and Rose Byrne. Catch this feel-good film with your family in cinemas from January 10. It is OUT NOW in cinemas!